Over time your fascia boards can turn green and black as dirt and algae build up from rainwater. 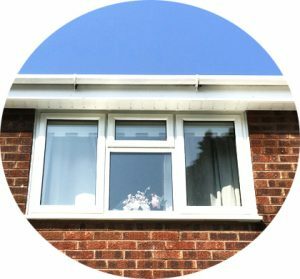 Keeping them clean is easy with our reach and wash systems and if done on a regular basis will help prevent discolouring of the uPVC. Included in the price are the fascia and soffit boards and also the outer plastic of the guttering. 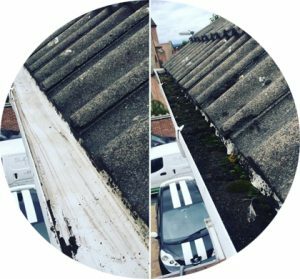 The leading cause of damp in the home is blocked guttering, by using a powerful vacuum we are able to clear your gutters from the ground and reach around difficult angles and heights. All the waste is sucked out of the guttering, drainpipes and drains into the machine, meaning there is no mess to clear up at the end. 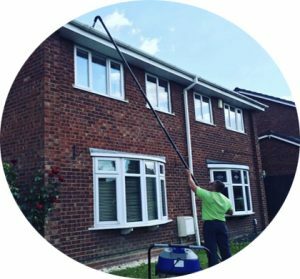 Supreme Window Cleaning is a leading specialist window cleaning company covering the area’s of Tamworth, Lichfield, Solihull and Sutton Coldfield. 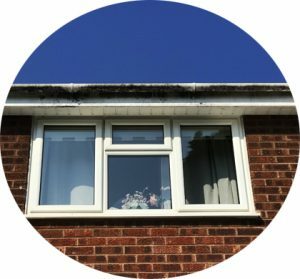 We continually work hard to build an excellent reputation by supplying the highest level of service to customers whilst keeping our prices at a realistic and competitive level. We undertake Residential window cleaning, using the latest purified water technology. We provide an ultra efficient and professional window cleaning service for Tamworth, Sutton Coldfield, Lichfield and Solihull.